Why Should You Lease Your Next Vehicle at Rairdon's Subaru in Auburn, WA? If you're looking for a new vehicle in the Tacoma area, you know to head straight to Rairdon's Subaru. Before you get here, though, you may ask yourself whether you should be buying a new Subaru or leasing one? While our sales professionals are happy to help you answer this question on-site, here are the answers to some of the questions regarding leasing that we most frequently receive. Leasing a new Subaru has several advantages for the prospective Subaru driver. When you sign a lease on one of our new Subaru models, you commit to pay manageable monthly payments for a short term, usually 24 or 36 months depending on the specific vehicle, payments, and special offers. This short term agreement allows you to explore the benefits of a new vehicle without committing to the full cost. At the end of the term, you can decide to pay the remaining cost of the vehicle after the lease payments to purchase the vehicle, extend the lease, or lease another brand new Subaru! Here at Rairdon's Subaru, we love being able to give you options! What Are the Differences Between Leasing and Buying? 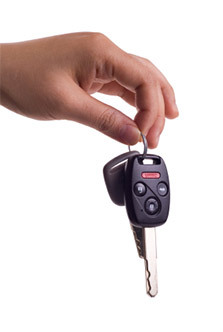 There a few major differences between leasing and buying a vehicle. While we would recommend anyone buy a new Subaru, the long term commitment of purchasing a vehicle is not for everyone--that's one reason we'd suggest leasing. Leasing may not give you the power of ownership but it does help you avoid the pitfalls of negative equity. Leasing a vehicle from Rairdon's Subaru also ensures that you'll have the full support of our sales staff and service department, especially since your new Subaru will be under factory warranty for the life of the lease. Does Rairdon's Subaru Offer Any Leasing Incentives? At Rairdon's Subaru, we're proud to offer monthly new Subaru offers. You can check back on our site regularly to see if we have new Subaru lease deals available or ask one of our sales professionals for our current savings offers. At Rairdon's Subaru, we proudly serve the Seattle, WA area on new Subaru vehicles. For the latest in Subaru innovation, check out our new Subaru model lineup--we're happy to offer fantastic special savings offers on new Subaru vehicles as well as an impressive lineup of Subaru Certified Pre-owned vehicles. When your Subaru needs maintenance or repair, bring it to our state-of-the-art service department where we offer frequently updated service savings. While you're here, visit our parts department and save with discounts on genuine Subaru parts and accessories. If you're ready for a quote, a test drive, or just have some questions, call us at (888) 249-5117 or come see us at 3025 Auburn Way North, Auburn, WA 98002--it'll be worth the drive from Bellevue or Renton, WA.